Get ready for a tidal wave of high-octane musical comedy fun, from this carnage-wielding snazzy idiot. 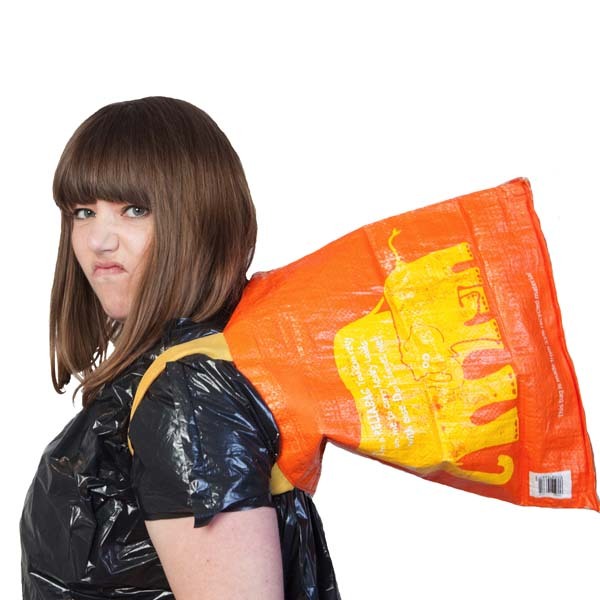 Like the most memorable of UK gales, Katie Pritchard is blowing over the patio furniture of comedy, partially damaging the garden fence of genre, and dropping a large, sturdy branch onto the car bonnet of musicality. Regularly performing paid Opening spots across the country at clubs such as: Barrow Comedy Club, Poodle Club (London), Comedy Cow (Milton Keynes), Stand-Up History (Cambridge), and Mostly Comedy (Hitchin). And I have recently headlined at Comedy Mash (Folkestone), Comedy Launchpad Competition (Komedia Bath), Jericho Comedy (Oxford), How Lazy is He? (Bristol), Secret Comedy Club (Brighton), Stand-Up History (Komedia Brighton), and Dolly Chicken Comedy (Cardiff). I have also performed at paid festivals including Kendal Calling, Greenbelt Festival, Eden Festival and more.